After graduating with a BA from the University of Dayton - Melissa ventured to Southern California to pursue a degree in jewelry design. "From there I think my creativity just organically expanded to interiors - it was a natural progression." Upon returning from design school, Melissa opened Root'd 1.0 while back in her home state of Ohio. It was during this brief stint in Ohio that her dreams of moving west grew. In 2008, she closed up shop and traveled west with her dog, Buckley. Park City, both quickly and naturally, became home. 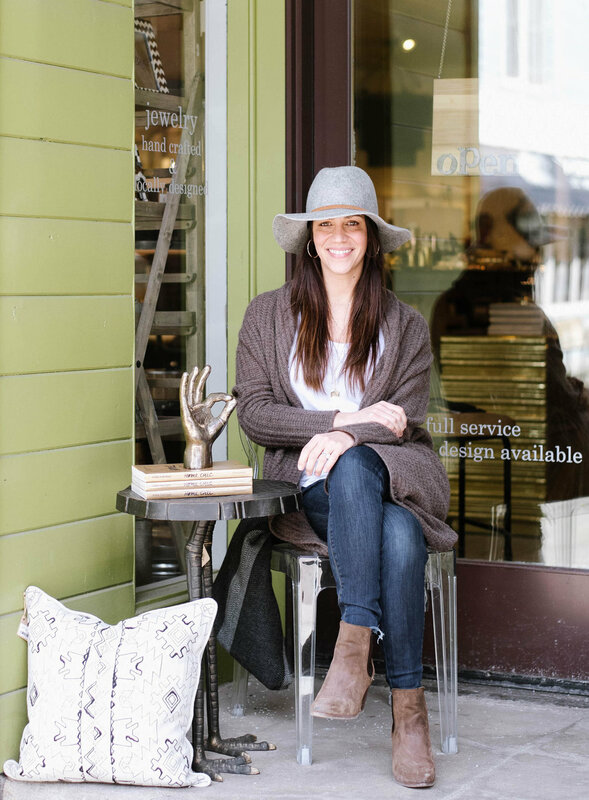 In 2011, she began selling home interiors in a shared a space with Flight, a fellow Main St boutique. Years later in 2013, Melissa was presented the opportunity to expand to the coveted 4,000 sq ft location at 596 Main St. that is currently home to Root'd. Melissa immersed herself in the passion of Root'd and has quickly grown it to the business you love today.